You'll be £19.99 closer to your next £10.00 credit when you purchase Swords and Cinema. What's this? The battles and sieges of the Classical world have been a rich source of inspiration to film makers since the beginning of cinema and the 60s and 70s saw the golden age of the 'swords and sandals' epic, with films such as Spartacus. Ridley Scott's Gladiator led a modern revival that has continued with the release of films like 300, The Eagle and Centurion and HBO's mini-series Rome. While Hollywood interpetations of Classical battle continue to spark interest in ancient warfare, to casual viewers and serious enthusiasts alike they also spark a host of questions about authenticity. What does Hollywood get right and wrong about weapons, organization, tactics and the experience of combat? Did the Spartans really fight clad only in their underpants and did the Persians have mysterious, silver-masked assassins in their armies? This original book discusses the merits of battle scenes in selected movies and along the way gives the reader an interesting overview of ancient battle. It should appeal to the serious student of ancient warfare, movie buffs and everyone in between. Recommended for anyone interested in ancient warfare, particularly as fought by the Hollywood (Greeks and) Romans. 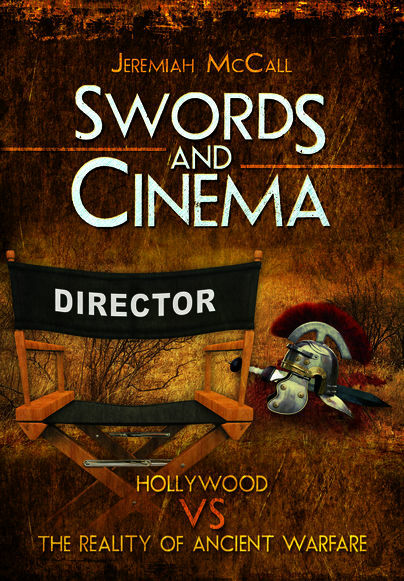 The author has provided a unique perspective of the weapons and uses in the ancient world to provide an interesting and readable overview and discussion of the subjects in the context of Hollywood's treatment of them. There is detailed coverage of battle scenes in some of the most famous films. This book will appeal to the traditional enthusiasts of the historical periods and those who have developed keen interests in the development and use of weapons in ancient history. In addition to this well-established market, there will be those who are interested in drama, creative writing and films. A fascinating read that covers new ground and offers fresh perspective. This is possibly the first book to combine knowledge of historic conflicts and military technology with a comparison of how Hollywood, and drama productions in general, have addressed the subjects. Ancient history has always held a particular fascination for a wide audience but the creative arts have always had difficulty in separating fantasy, fiction and reality. In fairness, that has also extended to some historians who have been happy to accept some aspects that look unlikely and are often exposed later by archaeology. Even archaeology is not exempt from criticism because a physical find still has to be interpreted and that can lead to some imaginative errors... The author has managed to produce a readable, informative, and credible perspective. His work is entertaining and his conclusions have an authoritative feel to them. Enjoy. Jeremiah has produced a well-researched book, with the great original notion of comparing Hollywood with History!...A unique and superb book that I highly recommend. An interesting, intriguing, and well-written read. Jeremiah B McCall is a school teacher in Cincinatti, Ohio. He is a pioneering advocate of the use of video games as teaching aids and has a PhD in Classical History. His previous works include much-praised The Cavalry of the Roman Republic (2002) and The Sword of Rome (Pen & Sword, 2012) He is now working on his next work for Pen & Sword, which assesses the portrayals of ancient warfare and empire building in video games.